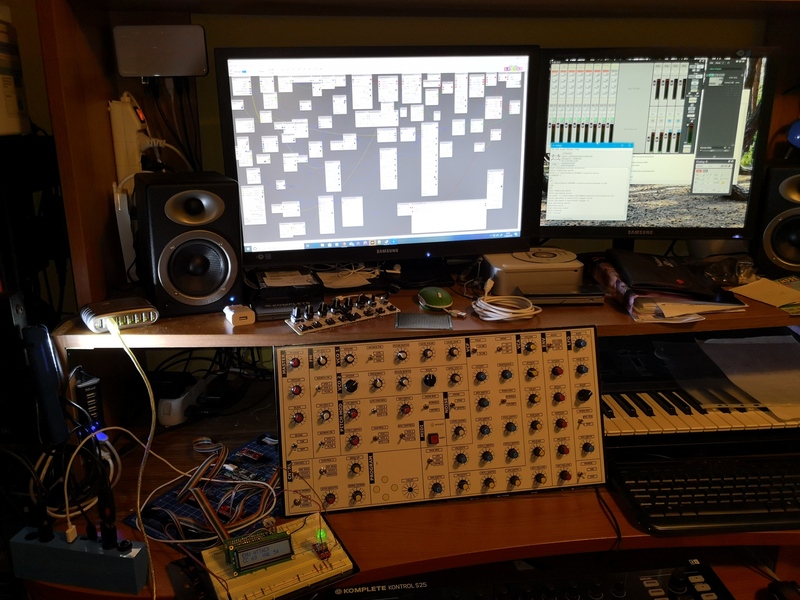 I want midi out from teensy to axo and vice versa. 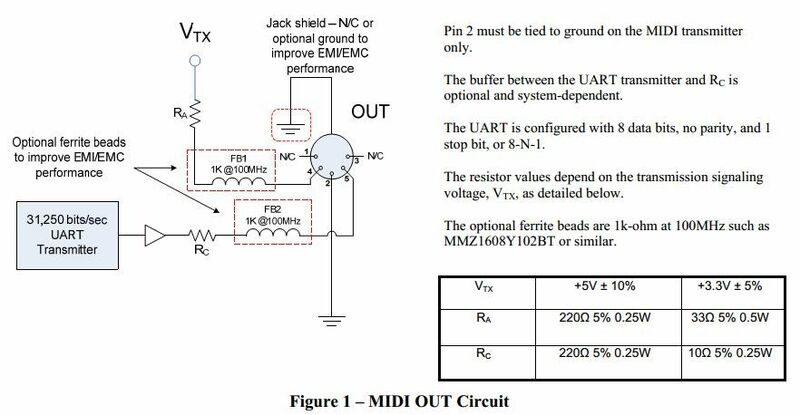 UART (Midisnd) Teensy pin 1, Axo PA3 TX"
Have found that the following connections are required to connect the Arduino Due serial uart to Axoloti midi input din. Arduino Due TX pin ------------------- Axoloti Midi in din pin 5 Arduino Due 3.3v ----220ohm-R---- Axoloti Midi in din pin 4 Arduino Due GND --------------------- Axoloti Midi in din pin 2 Will be tested tonight. 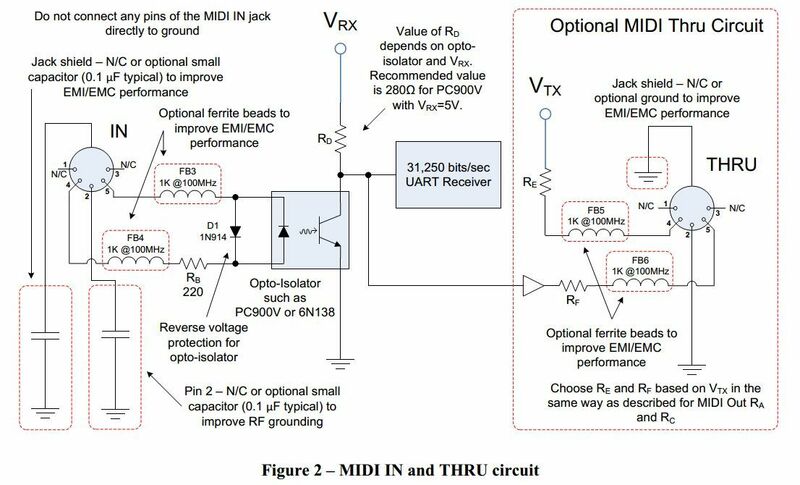 Do I need optocoupler even if using tx and Rx from teensy to axo TXand Rx? you can skip the optocoupler. 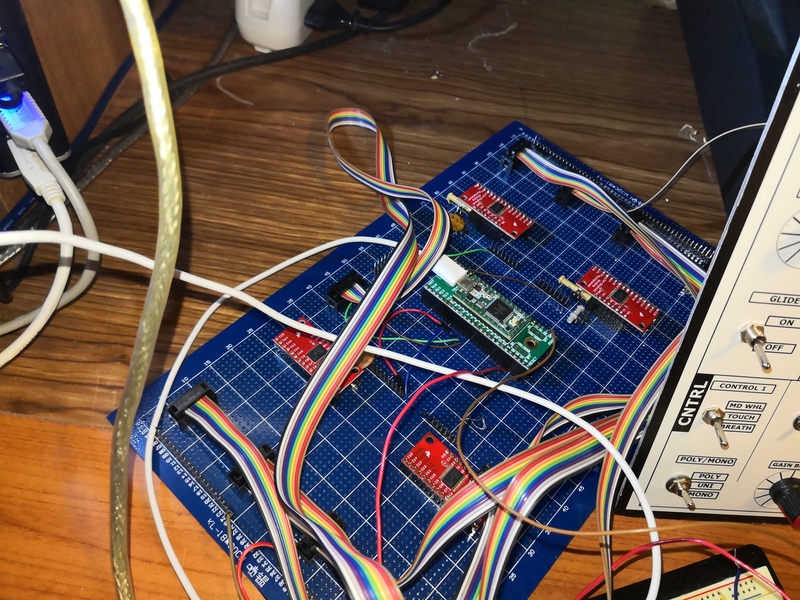 So you powered teensy 3.6 from axos 5v pin? How did you wire it? 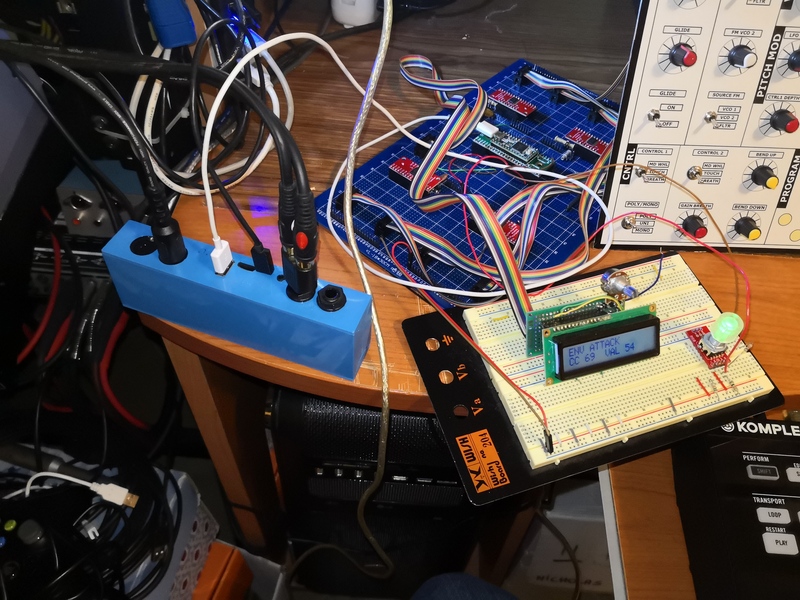 Why did you use 5v when both of the microcontrollers are 3.3v? Teensy3.2 is powered by axoloti. I got this problem: i have axoloti with 12 pots and oled connected to it. It also has teensy 3.6 with 12 pots connected to it. I have wired the teensy to get power from the axo 5v. Everything seems to power up but the pots are not working. When I unplug the teensy then the pots wired to axo work with smaller range than normally. So I assume that they don't get enough power. All the pots get power from axo. I use the micro USB for axolotis power. Any ideas? I guess it wasn't a power problem afterall, It seems that I got about 3 of the pots interfering with each other. I wonder how to fix that.